Although it's been a month since the Atlas blizzard hit western South Dakota, there are many organizations and groups still working diligently to help support the ranchers who were impacted by the early winter storm. For example, Dairy Queen held a fundraiser last week, donating $1 to the Rancher Relief Fund for every burger sold at participating South Dakota locations. Other fundraising groups include Heifers for South Dakota, as well as the South Dakota FFA Foundation, which is raising money to support the FFA youth who lost cattle in the blizzard. On Nov. 2, the Yankton Livestock Auction Market hosted a roll-over auction sale to help support the impacted ranchers. 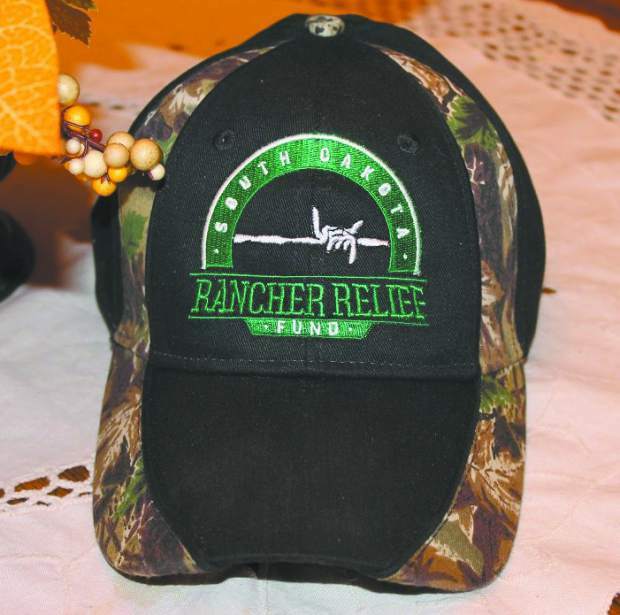 The auction raised $40,000-$50,000, which was donated to the South Dakota Rancher Relief Fund. The Rancher Relief Fund was established on Oct. 8, 2013, by Black Hills Area Community Foundation to provide support and relief assistance to those in the agriculture industry impacted by the blizzard of Oct. 4-7, 2013. The fund will be administered by BHACF in cooperation with the South Dakota Stockgrowers Association, South Dakota Cattlemen's Association and South Dakota Sheep Growers Association for the direct benefit of the livestock producers impacted by this devastating blizzard. The Yankton Livestock Auction Market put together the roll-over auction with cattle donations from Healy Simmentals of Irene, S.D. ; B & B Koupal Angus of Dante, S.D. ; Kyle Gross of Iroquois, S.D. ; Kevin and Lori Huber of Irene, S.D. ; and one anonymous donor. Lori Huber described the events of the auction. The roll-over auction first sold the three donated replacement heifers, with roll-over bids reaching $1,250. Then, those three heifers were put through for a final sale, with the highest bidder taking the cattle home. "The auction went very well; the first roll-over bid was $1,250," said Huber. "There was roughly seven $1,000 bids, at least 17 $500 bids. They also auctioned off 24 hats with the opening bid of $125 and most going for $50-75 each. The first went for $3,000; the second for $1,600; and the last for $1,400. One guy donated 10 percent of his total sales. It was great to see our local auction barn pull through for the western South Dakota ranchers, and I hope other barns follow suit. What a day for people to show support here in South Dakota!" Sarah Anthony, Yankton Livestock Auction Market clerk, was a part of the team of employees at the sale barn who helped organize this event. 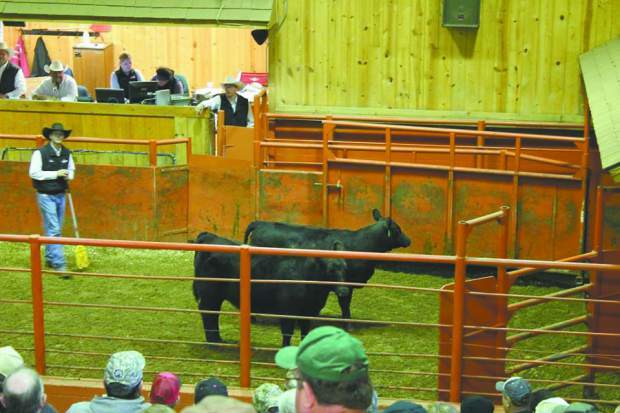 Yankton Livestock Auction Market has previously hosted roll-over sales to benefit the All-American Beef Battalion, as well, so the business is no stranger to lending a helping hand, and the Yankton-area community once again proved they are willing to help those in need. "We want to thank the buyers who helped support the South Dakota Rancher Relief Fund at our roll-over auction," said Anthony. "Banks, ranchers, farmers and even kids helped to make this a success. People in our community know the importance of agriculture, and in the time of need, they are willing to step up for their fellow ranchers and neighbors. It's a great thing to see." The money raised at this auction will go directly to the Rancher Relief Fund. Many donations were added to the pot throughout sale day, with checks written from folks in the crowd, as well as a portion of some cattle sales being donated from the ranchers selling cattle that day. For more information on the Rancher Relief Fund or to donate, check out http://www.giveblackhills.org/index.cfm?fuseaction=Organizations.Overview&Organization_ID=27677.